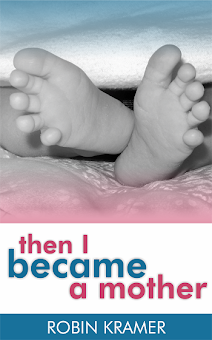 Blog Pause Day Three: This was one of my most widely-circulated posts from 2012 -- and one that was great fun to write. 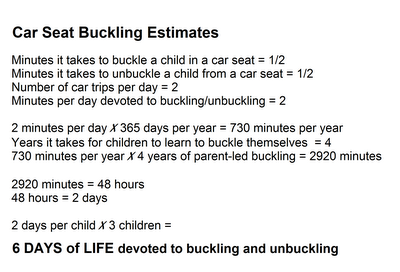 It's possible that I will spend six entire days of my life buckling and unbuckling my children from their car seats. Don't ask me to show you the math. Actually, let me show you the math. Continuing with this loose form of estimation, I'll also probably spend three weeks of my life searching for items that my children have misplaced and eight months of my life folding their laundry. Can you imagine the time that you would save if your kids knew how to complete simple tasks? 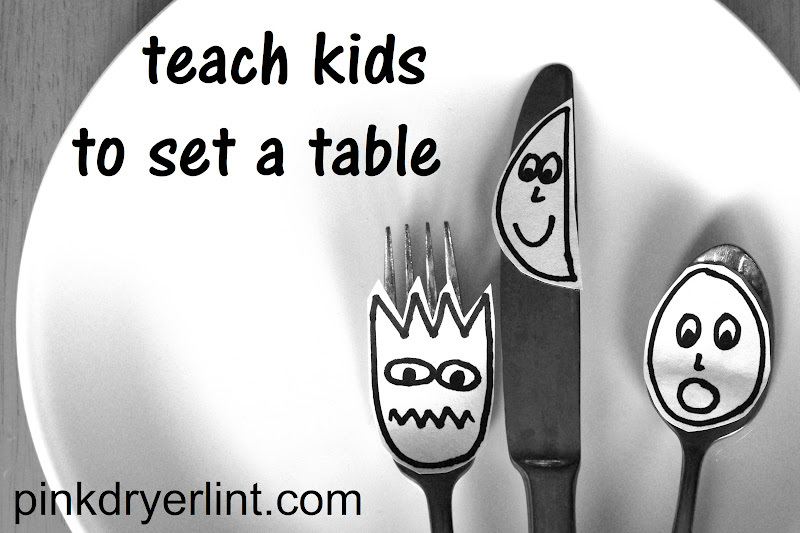 What if you could teach them to take over a job that you normally do, like setting the table? Not only would your children learn a valuable skill, but also you'd save a few minutes per day. Eventually you'd gain entire days of your life. Yes, through this video tutorial on how to teach your kids to set a table, I'm giving you the gift of LIFE. Just think what you can accomplish with additional days of life at your disposal. How many books you could read! You could pick up a new hobby or start cracking away on that laundry, for example. 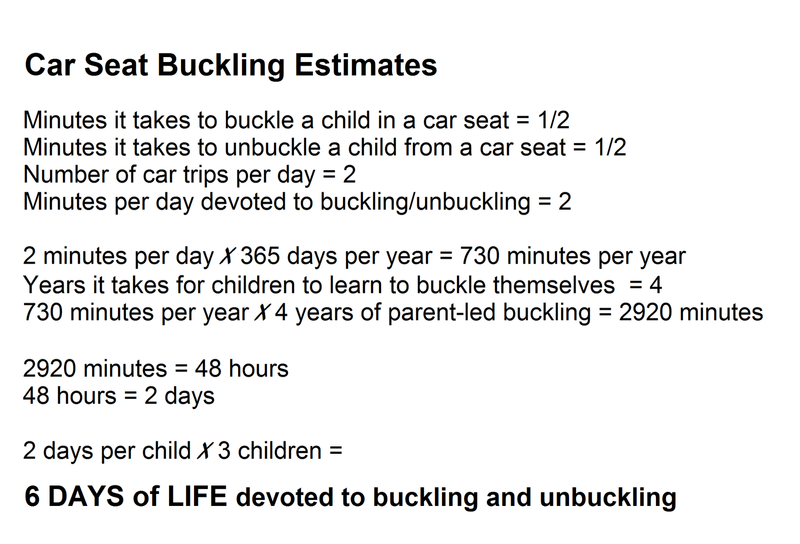 Of course, if you know any tips on how to accelerate a child's mastery of the seat belt buckling process, feel free to share with me. I'm all ears.